Gaylord, MN – As the high-speed broadband project enters its third year, RS Fiber Cooperative (RS Fiber) customer growth has increased by 62% over the past year. Phase One construction has been completed with the final four member communities being connected to the Fiber-To-The-Home (FTTH) Gigabit network in the first quarter of 2018. The company is now in the customer acquisition stage for all ten Fiber to the Home communities. To date, RS Fiber serves more than 30% of the homes and businesses in the ten communities and that number continues to grow at a steady rate each month. The customer acquisition phase moves RS Fiber Cooperative beyond the high risk of a start-up company in construction mode. This also means that the company financing will need to shift to a model that will support continued growth to not only to a positive cash flow but also to profitability as planned by 2021. At a recent presentation to the Joint Powers Board, Shannon Sweeny of David Drown Associates, Inc., stated that the subordinated debt payments will not be made for the next two years and that the cities will need to make the GO bond payments. The subscriber growth on the network will determine when RS Fiber will be able to take back the payments from the cities. That determination will be looked at annually. Kevin Lauwagie, the RS Fiber Board Chair, stated that “RS Fiber was founded due to the lack of interest by existing companies to serve the towns and rural townships in our area. Now that the first phase is complete and more than 2,000 residents have already benefited by the service, we know we’ve done the right thing and look forward to continuing with expansion of the service across our region”. With the project now in its third year, RS Fiber continues its steady growth trend. The company now serves more than 2,000 homes and businesses and has increased revenue by 65% over the past 12 months. RS Fiber Air, the fixed wireless solution for the 17 townships served in phase 1, continues to expand wireless broadband coverage to new areas of rural Renville and Sibley counties. Five additional towers have been added in the project area in 2018. These towers will continue to expand the reach of broadband services throughout the area. About us: RS Fiber Cooperative is a community driven effort to deliver a high-speed fiber-optic connection to Sibley County and portions of Renville, Nicollet, and McLeod Counties. The project has brought fiber-optic Internet, Video, and Phone services to ten cities and broadband fixed wireless to seventeen townships. The RS Fiber mission is: “To provide each and every customer with an exceptional service experience that you can only expect to receive from a local business, while providing you with access to the benefits of the most advanced fiber optic network in the US”. For additional information, or to schedule an interview, please contact David Dicke at david.dicke@rsfiber.coop or call 507-474-5884. 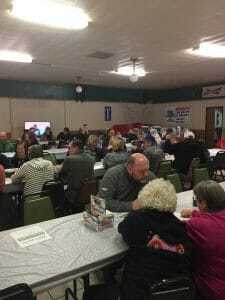 Stewart, MN –RS Fiber held an open house recently to introduce its high-speed broadband Internet, Video, and Phone services to residents of Stewart, Lake Ally, and Lake Preston. Around 150 people attended the event, held at Cactus Jack’s II in Stewart, for the opportunity to visit with members of the RS Fiber team and to sign up for services. RS Fiber operations manager, Ben Ranft, said while installations are currently happening in Stewart, it will be a few more weeks before services are available to those living in Lake Ally and Lake Preston. The high-speed fiber-optic network is being constructed and operated by Winona, MN based Hiawatha Broadband Communications (HBC). HBC General Manager, Dan Pecarina, says their mission at RS Fiber is to bring the best services possible to customers. In addition to enjoying a catered meal, everyone in attendance was eligible to win several door prizes. The winner of a Samsung 40-inch LED TV was Robert Wilson of Buffalo Lake, Lori Vinkemeier of Stewart won an Amazon Echo Show, and the cordless phone went home with Jan Trohkimoinen from Buffalo Lake. Stewart, MN – RS Fiber Cooperative (RS Fiber) is hosting an open house for the residents of Lake Allie, Lake Preston, and Stewart for all who are interested in learning more about RS Fiber high-speed Internet, Video, and Phone services. The open house will be held at Cactus Jack’s II in Stewart on Wednesday, April 4, 2018 from 5:30 pm to 7:00 pm. Those attending will be available visit with RS Fiber team members to learn more about high-speed, fiber-optic Internet, high-definition Video, and crystal-clear Phone services. Anyone who signs up for services will be eligible for the RS Fiber Cornerstone program. New Customers choosing 100 Mbps Internet service will have the option of upgrading to Gigabit speeds with no increase to their monthly bill. Also, learn more about how you can get a $50.00 credit towards your new RS Fiber account! There will also be a free meal served from 5:30 pm until 6:30 pm. The meal will include pulled pork sandwiches, potato salad, baked beans, chips, cookies, ice cream, and a beverage. All who attend will also be entered into a drawing for a chance to win some great door prizes including a VTech® Cordless Phone, Amazon® Echo Show and at 40-inch Samsung® 1080p LED Smart TV. The prize drawing will be held at 6:30 pm. Winners need not be present to win. RS Fiber Internet, Video, and Phone services are now available in Stewart and will be available soon in the communities of Lake Allie and Lake Preston. Viacom Media Networks has decided that on Wednesday from 9:00 a.m.- 9:17 a.m. all of their linear networks including: BET, CMT, Nickelodeon, Comedy Central, Paramount Network, CMT, TV Land, and VH1 channels, digital, and social platforms will go dark in solidarity with the National School Walkout against gun violence. All of your favorite Viacom programs will still air, however they may fall outside their normal window and will run within the hour. This is a Viacom decision so no other networks will be affected. Buffalo Lake, MN – RS Fiber Cooperative (RS Fiber) will be hosting an open house for the residents of Buffalo Lake who are interested in learning more about signing up for RS Fiber high-speed Internet, Video, and Phone services. The public is invited to stop by the Buffalo Lake Community Center on February 21, 2018 from 5:30 pm until 7:00 pm to visit with members of the RS Fiber team to learn more about high-speed, fiber-optic Internet, high-definition Video, and crystal-clear Phone services, and to enjoy a free meal catered by Brownton Bar and Grill. The free meal will include pulled pork sandwiches, potato salad, baked beans, chips, pickles, cookies and a beverage. Buffalo Lake residents who sign up for services is also eligible for the RS Fiber Cornerstone program. Any customer choosing 100 Mbps Internet service will have the option of upgrading to Gigabit speeds with no increase to their monthly bill. Also, learn more about you can get a $50.00 credit towards your new RS Fiber account! All who attend will be entered into a drawing for a chance to win some great door prizes including a VTech® Cordless Phone, Amazon® Echo Show and at 40-inch Samsung® LED Smart TV. The prize drawing will be held at 6:30 pm. Winners need not be present to win. RS Fiber Internet, Video, and Phone services will be available in Buffalo Lake by the end of the month. Service will also be available in Stewart soon! About us: RS Fiber Cooperative is a community driven effort to deliver a high-speed fiber-optic connection to Sibley County and portions of Renville, Nicollet, and McLeod Counties. The project will bring fiber-optic Internet, Video, and Phone services to ten cities and seventeen townships. The RS Fiber mission is: “To provide each and every customer with an exceptional service experience that you can only expect to receive from a local business, while providing you with access to the benefits of the most advanced fiber optic network in the US”. Amidst the national conversation about Net Neutrality, RS Fiber wants to make clear our positions as it relates to Net Neutrality and our customers. RS Fiber has Never Blocked or Throttled consumer access to lawful Internet content. RS Fiber has Never Used consumer data without consent for marketing. RS Fiber has Never Resold consumer data to third parties. RS Fiber has Never Engaged in unlawful or anti-competitive discrimination against websites, streaming video services, and voice applications that may compete with traditional services RS Fiber offers. RS Fiber has Never Offered Pay-For-Priority services. RS Fiber INVESTS in the networks we use to give our consumers the Internet speed, capacity, and services they desire most. RS Fiber has no intention to change any part of this commitment to its customers now or in the future. Winthrop, MN – RS Fiber Cooperative (RS Fiber) will be hosting a services open house for the residents of Fairfax on November 8th. Members of the community are invited to meet with members of the RS Fiber team from 5:30 pm until 7:00 pm at the Fairfax Community Center to enjoy a free supper and learn more about Internet, Video, and Phone services which will be available to residents and businesses next month. Those attending are encouraged to enter the door prize drawing and the chance to win some great prizes including a VTech® Cordless Phone, Amazon® Echo Show and at 40-inch Samsung® LED Smart TV. The prizes will be drawn for at 6:30 pm. Internet, Video, and Phone services will be available in Fairfax in December. 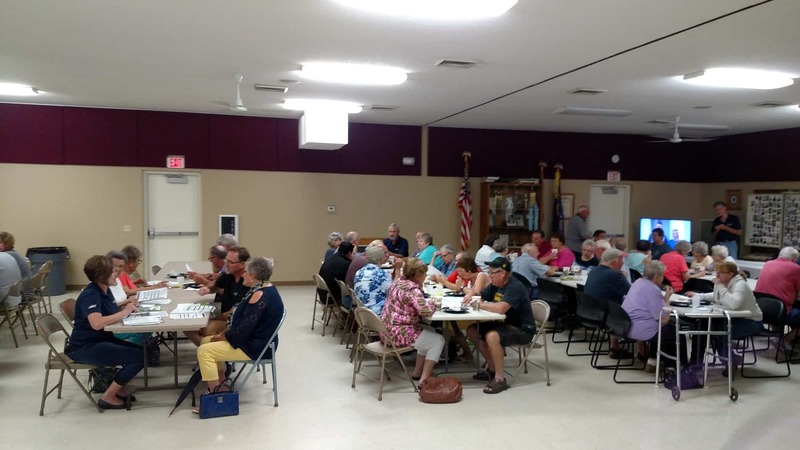 Brownton, MN – Nearly 200 people from the Brownton area turned out for Wednesday night’s RS Fiber open house at Brownton Community Center. The event gave Brownton residents the opportunity to meet and visit with members of the RS Fiber team about signing up for services. RS Fiber general manager, Toby Brummer, said these events are always a lot of fun. The high-speed fiber-optic network is being constructed and operated by Winona, MN based Hiawatha Broadband Communications (HBC). HBC CEO/President, Dan Pecarina, says their mission at RS Fiber is to bring the best services possible to customers. In addition to a catered meal by Brownton Bar and Grill, those attending were also eligible to win several door prizes, including a Samsung 40-inch LED TV, an Amazon Echo Show, and a cordless phone. Prize winners were: cordless phone – Jim Sikkila; Amazon Echo Show–Nicole Templin; and a Smart TV-Audrey Tongen. Phase One construction will wrap up this year with services being activated in Fairfax, Stewart, and Buffalo Lake. Excited to watch the fight? We definitely are! Order on Pay-Per-View through your interactive program guide on your TV. 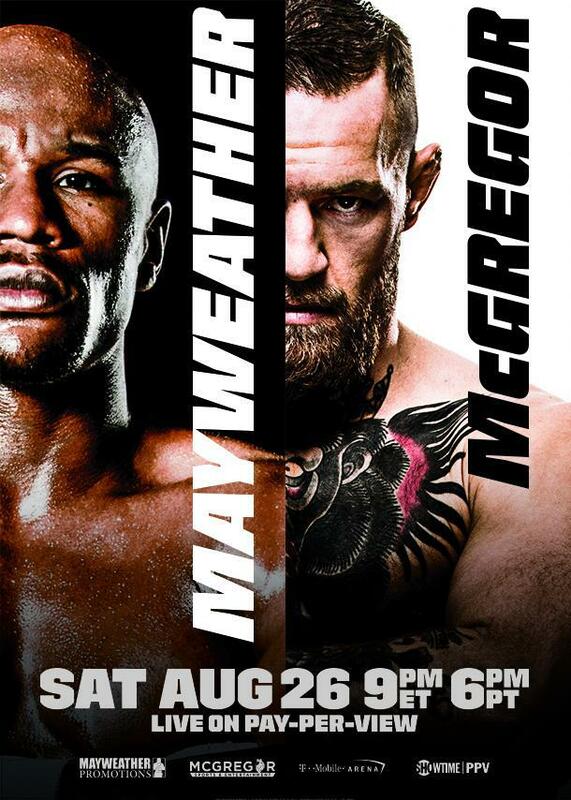 Using your PPV (Pay-Per-View) is simple. Use the quick start guide below or download FAQs and comprehensive instructions using the link below. Press the MENU button on your remote and select the PPV icon. View PPV programs by time or title. Select the program you want to watch and press OK to buy it. Click here to view or download RS Fiber PPV FAQs.